Daily Illuminator: Come See Us At PAX South This Weekend! 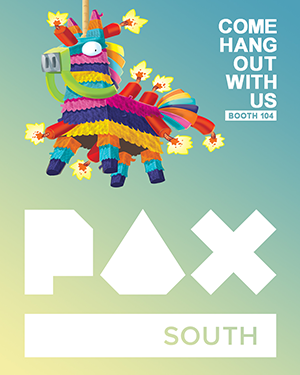 January 11, 2018: Come See Us At PAX South This Weekend! Help us start 2018 off right at PAX South, happening January 12-14! We're going to be at booth 104, demoing our new releases and our upcoming games, as well as handing out free swag. Swing by to play some hot winter releases like Munchkin Shakespeare Deluxe and Super Kitty Bug Slap, and pick up your own copy to take home. We'll also have Munchkin Magical Mess to demo! The adventures of Moop continue in this monster mix-up beyond compare. Look for this hilarious new game later in January! And while you're there, you should definitely check out the Munchkin Collectible Card Game, coming in February. We've featured the game extensively on our new MunchkinCCG.game site, and we'll also have learn-to-play events and a tournament at the convention. Find out more at the show, but make sure you sign up at Tabletop HQ early on the day of the event; the spots will fill up fast! Even if you miss out on an event, you can always demo the game at our booth. If you make time for one game at the convention, make sure you get a demo of this one! Of course we'll have some free loot at the booth, like Munchkin promos and bookmarks. Play a game and get a card just for hanging out! We're kicking off our convention schedule strong with PAX South! See you this weekend at booth 104!